Denver Water, Trout Unlimited and Grand County today announced agreement on a package of river protections designed to keep the Fraser River and its trout populations healthy. The Mitigation and Enhancement Coordination Plan brings to a close several years of discussions over the proposed Moffat Collection System Project and its potential impacts on the Fraser River. All sides hailed the stakeholder agreement as a breakthrough that balances municipal needs and environmental health. The package includes environmental enhancements and protections to ensure the Fraser River will be better off with the Moffat Project than without it, said Denver Water. The Moffat Project will improve the reliability of Denver Water’s system, which serves 1.3 million people in the Denver-metro area. 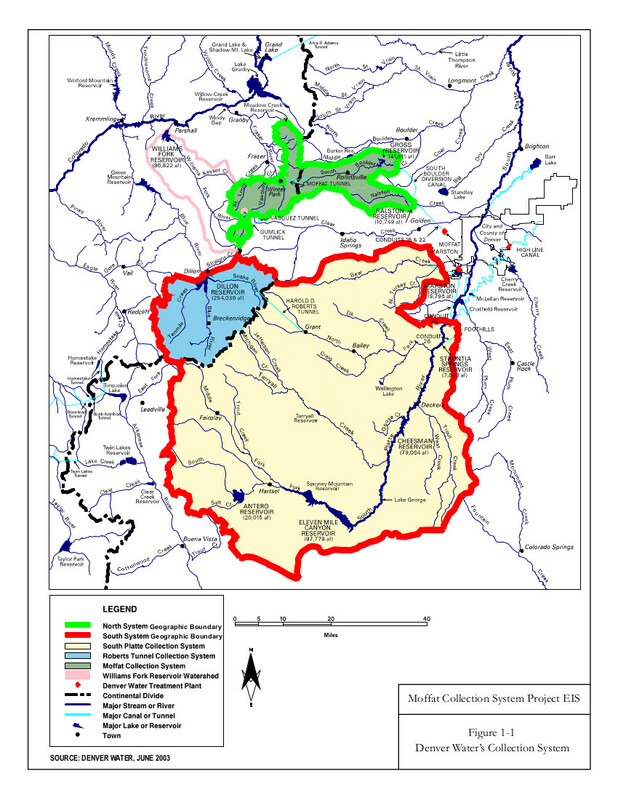 The centerpiece of the agreement is Learning by Doing, a monitoring and adaptive management program overseen by a management team that includes Denver Water, Grand County, Trout Unlimited, Colorado Parks and Wildlife, the Colorado River District and the Middle Park Water Conservancy District. Upon the project permit being issued, the management team will implement an extensive monitoring program to assess stream health based on specific parameters including stream temperature, aquatic life and riparian vegetation health. Water, financial and other resources committed by Denver Water through project mitigation, the Colorado River Cooperative Agreement and other agreements will be deployed to prevent declines and improve conditions where needed. Learning by Doing is a unique and groundbreaking effort to manage an aquatic environment on a permanent, cooperative basis. Notably, the program will not seek a culprit for changes in the condition of the stream, but will provide a mechanism to identify issues of concern and focus available resources to address those issues. Mitigation measures to prevent impacts of the Moffat Project on stream temperature and aquatic habitat will also be implemented through Learning by Doing. Denver Water, Grand County and Trout Unlimited have submitted the Grand County Mitigation and Enhancement Coordination Plan to federal and state agencies charged with permitting the Moffat Project and have requested that it be made part of the U.S. Army Corps of Engineers’ permit. The Final Environmental Impact Statement for the Moffat Project is expected by the end of April, and a final permitting decision by the Army Corps of Engineers is expected in early 2015. For more information about the Mitigation and Enhancement Coordination Plan, see the full agreement here. More Moffat Collection System Project coverage here and here.